ESB and Bord na Móna have announced a joint development agreement to deliver solar farms across Ireland, with grid connections already lodged for sites in Roscommon, Offaly and Kildare. The state owned electricity company, which pledged last year to build up to 30 ground-mount sites by the end of 2021, will use Bord na Móna’s land portfolio to build the new energy projects. Both companies have committed €5 million each to develop solar power across four locations. According to EirGrid’s proposed connection data from 1 April 2017, Bord na Móna has applied for five grid connections with a total maximum export capacity (MEC) of 228MW at Blackwater Bog in Offaly, two sites with a combined MEC of 151MW near Timahoe in Kildare and another at Mountdillon in Roscommon (90MW MEC). 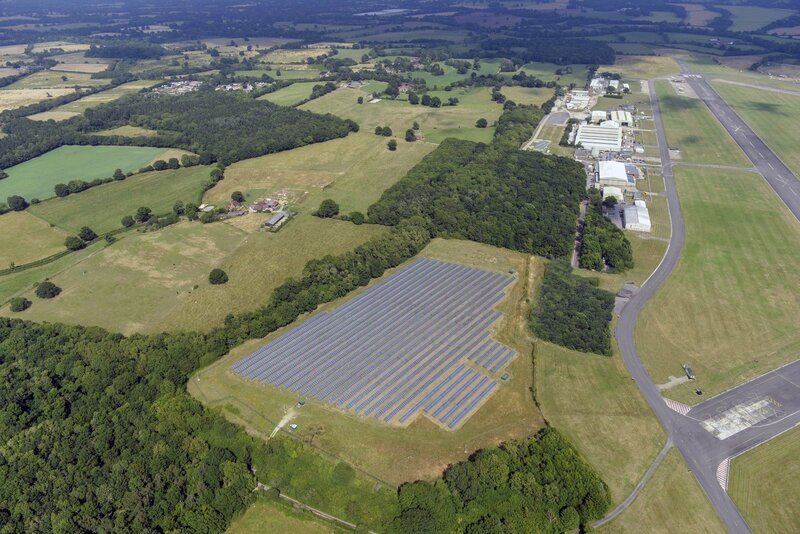 However without planning applications, which Solar Power Portal understands will be submitted by the end of this year, these sites are yet to be confirmed as the final locations for the joint venture’s future developments. “From our long history of working together in communities right across Ireland, Bord na Móna and ESB bring considerable expertise and knowledge in delivering best in class community engagement around our projects, ensuring a clear commitment to open and transparent engagement with households adjacent to any proposed development,” he said. The announcement has been made to further position the two companies in preparation for government energy policy to support solar deployment in a bid to help the country reach its renewable energy targets. In April last year, ESB revealed plans to develop up to 500MW of solar PV between now and the end of 2021 on its own sites or through joint-ventures and leased sites in locations across both the Republic of Ireland and in Northern Ireland. Speaking at the launch of the new co-development agreement today, ESB chief executive Pat O’Doherty said: “In ESB, we are committed to a future where low carbon electricity powers a low carbon society. We have already an established position in the solar market in Ireland, with both ground mounted and rooftop solar projects under development. This follows an assessment by the Environmental Protection Agency last week which said the country would miss its 2020 greenhouse gas emissions targets, meaning the country will face fines from the European Union. It is thought these fines were already being taken into account when planning future government expenditure. More information on the growing pipeline of Irish solar projects can be found in the Republic of Ireland Solar PV Opportunity Tracker report from Solar Media, which can be found here or by contacting solarintel@solarmedia.co.uk.